Casual friends come and go…but good friends last forever. So when it comes to sharing your sentiments and showing that special someone how much you appreciate their friendship, any time is the perfect time. That’s why friendship cards are especially appropriate: The whole reason to send one is no reason at all! This card is sent with lots and lots of love to a friend who means so very much to me. You’re the greatest…and I’m better because of you. 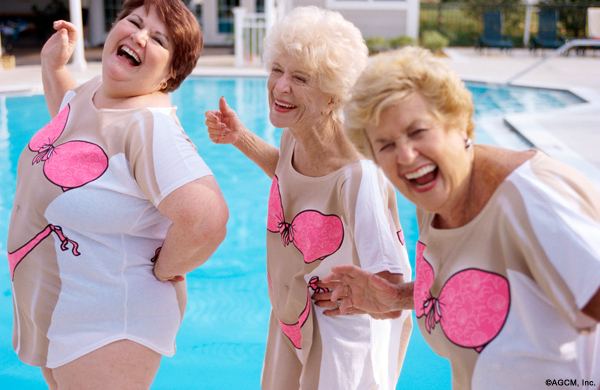 Best friends forever, you and me! I’m thinking of you and realizing—once again—what a special friend you are, and how incredibly lucky I am to have you in my life! 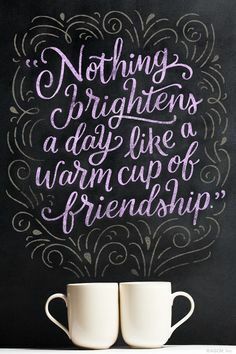 I thank you for your friendship, which is a truly precious gift indeed. Looking forward to many, many more years of laughter, fun, and friendship—together! I am genuinely blessed to have you as my friend. To many more years ahead! Even though we don’t see each other often, when we talk it’s as if no time has passed at all, and I love that. You listen with an open heart and are always there for me with support and a kind word. I truly treasure our friendship and can’t imagine life without you in it. You always manage to see the best in me even when I can’t see it for myself. 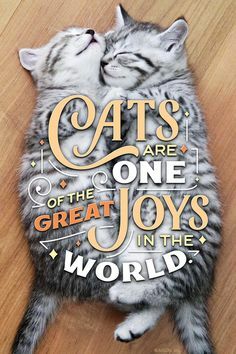 Thanks so much for being my lifeline during the difficult times—I couldn’t ask for a better friend than you! Sending a note to you, my friend, to brighten your day as you have done for me so many times before. Your closest and dearest friend(s) will always have a special place in your heart. And you in hers. You know each other inside and out. You’ve gone through good times and bad. You’ve been there for each other through thick and thin. And there’s no one else you’d rather call your best friend. But times change—and life happens. You don’t get to see each other as often as you once did. You don’t keep in touch as often as you’d like. And you suddenly somehow feel that an occasional phone call just isn’t enough. You’d like to change that now. You’d like to reach out to her in some very special way and surprise her with an act of appreciation for your deep friendship. Any ideas of how you’re going to do that? Don’t give it another thought. 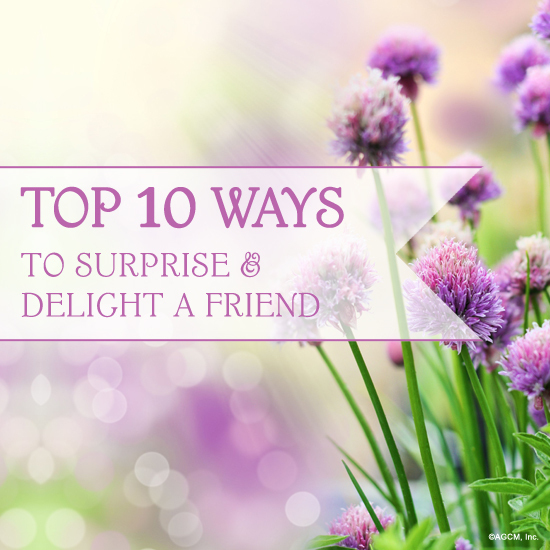 Blue Mountain has done all the work for you and compiled a list of 10 fun and exciting ways to reconnect with your BFF. Pick one (or more!) and delight her today! Compile a scrapbook or PowerPoint slideshow of the many pictures you have of you and your best friend together. If doing a video, add songs in the background that have a special meaning to you both. Don’t forget to add a personal message that will touch her heart. This will truly become a keepsake. What did you use to like to do together? Ride bikes? Go bowling? Shop at the mall? Visit an amusement park? Have sleepovers? Recreate that exact kind of day with little notes that will remind her of your past shared memories and inside jokes. Visit a restaurant in a city that neither of you have ever been to before. Make reservations under your nicknames. Order for each other. Giggle the night away. Rent an old movie that was a favorite of both of yours and laugh/cry through it together. Choose either a popular TV series (like “Leave it to Beaver,” “Father Knows Best,” or “I Love Lucy”) or a classic film (like “Gone with the Wind,” “Casablanca,” or “Titanic”). If a good chick flick about female friendship is more to your liking, choose “Thelma and Louise,” “Beaches,” or “Steel Magnolias.” And don’t forget the popcorn! Cook dinner for your best friend that would be something you both loved as kids. Think retro. Your menu could include such all-time favorites as macaroni and cheese, grilled cheese sandwiches with tomato soup, salisbury steak or meatloaf with mashed potatoes and peas, chicken à la king, tuna casserole, TV dinners, deviled eggs, spinach dip in a hollowed-out bread bowl, cheese spread in a can with a nozzle plus crackers, baked Alaska, a gelatin mold, or S’mores. Book an afternoon (or even a full day!) of pampering at the spa for the two of you. Choose from the variety of services offered—from manicures and pedicures, to facials, massages, and body treatments. Throw in a shampoo/style, makeup application, or lunch, too, if available. Then get ready to enjoy a truly restful and relaxing time together. Think outside the box on this one. Maybe plant a garden together. Or go hiking (and enjoy a picnic lunch afterwards). Or play in a playground. Or fly kites. Or rollerblade. Or go kayaking. Or run a race. Or…frankly, the world is your oyster. There’s nothing that brings good friends together quite like food. Choose a class that will introduce a cuisine or technique that’s new to both of you. Then maybe schedule another evening to recreate at home what you learned in class. Don’t forget the wine! Bon appétit! Schedule a getaway weekend just for the two of you. It can be as exotic (a trip to Paris!) or as modest (tenting in a national park) as you’d like or can afford. The important thing is that you enjoy your time together and get a chance to catch up on old times! When it comes to fun and adventure, there’s no better season than summer to charter unknown territory with your friends. From traveling and hiking, to exploring your own city or offering up your time to assist a person or organization, there’s always something new to learn, unfamiliar places to explore, and grand experiences lying just around the bend. We’ve collected six fun and different ideas you might like to try, or they may even spark an idea of your own. So grab your friends and set out on some new adventures, and be ready to make some beautiful memories that will last a lifetime. 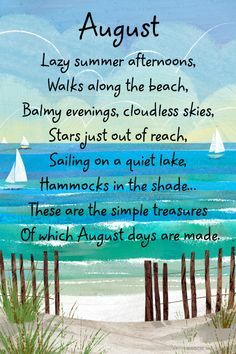 There’s still so much summer to enjoy! Get up, up, and away! Whether you’re heading off for a week at the seaside or a fun day trip, parasailing will give you the ultimate adventure of fun in the sun! It’s one of those “someday” activities that we always want to try but never seem to get around to. Unleash your hesitations and let your spirit soar! Take a random road trip. Let fate plan your fun by throwing darts at a map of your county (or of your state or country if you’re up for a longer excursion) and wherever they come closest to is your road trip to remember. If you happen to be near the World’s Largest Frying Pan or Biggest Ball of Twine, Roadside America will make sure you don’t miss it. Don’t worry too much about taking an exact route—the goal here is the fun and stories you’ll gather along the way. Food truck day. If you’re tired of the same old restaurants or just want to cut back a bit on spending while you explore your town or city, switch things up and chase down some delicious food trucks! Have each friend pick a different truck for breakfast, lunch, dinner, and of course—snacks and treats! Or have each friend pick a different food truck each week, and plan to meet for lunch throughout the month. It’s amazing what new and different things you can experience right in your own city. Go on a hike and pack your own trail mix. Hiking doesn’t have to be an all-day trek through the wilderness. Visit your local trails or your state park and relish the fresh air as you catch up,unplug, and drink in nature’s scenic beauty. 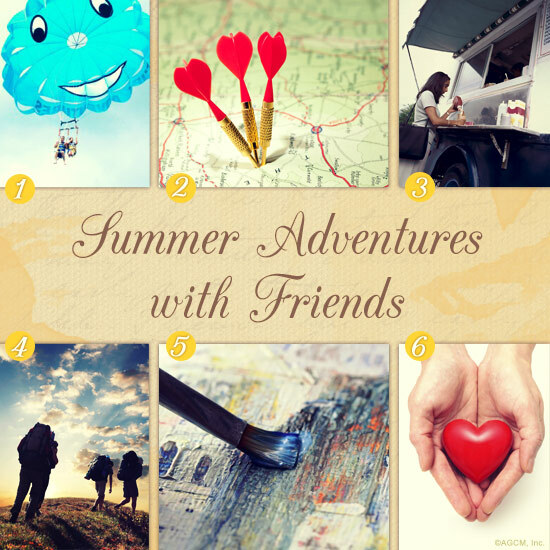 Have each friend bring a batch of homemade trail mix to share during your outing. Try a completely new activity without spending a lot. Always wanted to try yoga? Never learned to swim? How about learning how to paint? It’s always refreshing to try something new with friends, and with helpful sites like Groupon and Living Social, you’ll find great deals and discounts to boot. Volunteer for a good cause. There’s no better feeling than helping someone else, so gather your friends and do something for the greater good. You can help build homes with Habitat for Humanity, volunteer at a local animal shelter, rock babies at your hospital, or even band together and help a sick or elderly neighbor by mowing, weeding, and beautifying their yard. There’s no greater joy to be had than sharing a simple act of kindness. 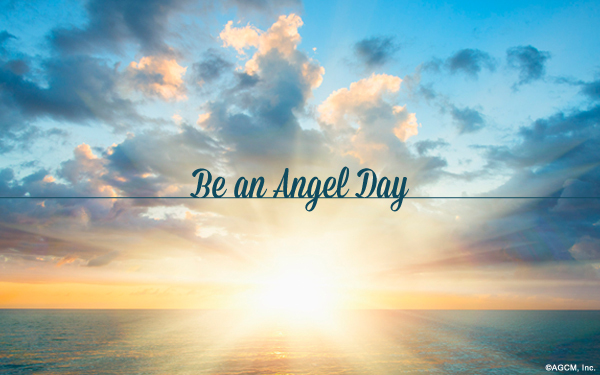 Today marks “Be an Angel Day,” which celebrates making the world a better place through acts of kindness, care and support. 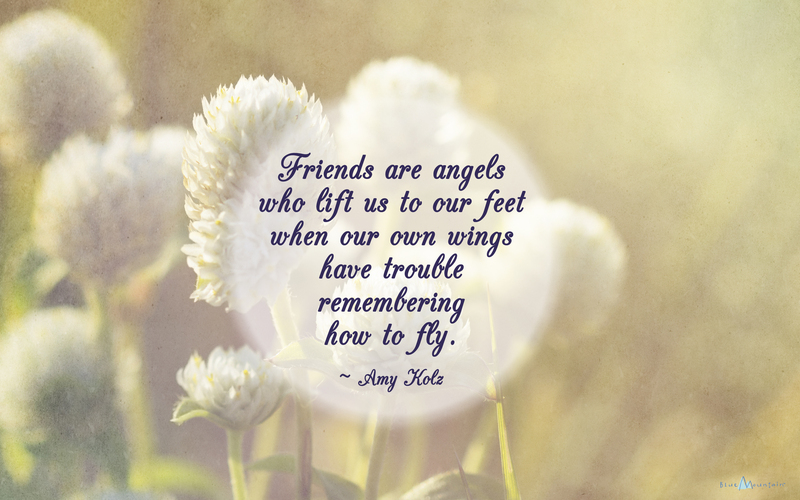 It’s pretty fitting that this day falls within national friendship week because we all know that friends are angels in disguise. Anyone can be an Angel, and sometimes just a smile can lighten the heaviest heart. Here are some simple things that anyone can do to brighten someone’s day. Bake some cookies, or make a meal and invite your neighbors over. Help out your older neighbors by grocery shopping, or taking out their trash. Send a card just because. It’s sure to brighten someone’s day to know they are being though about. Offer to babysit for a couple so they can share a night out. Call an old friend and catch up with an ol’ fashion gab session.